In Ohio, all traffic violations are criminal offense. 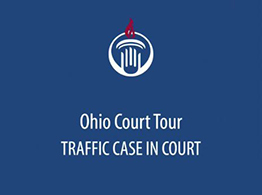 Traffic cases follow the same court procedures as criminal cases. 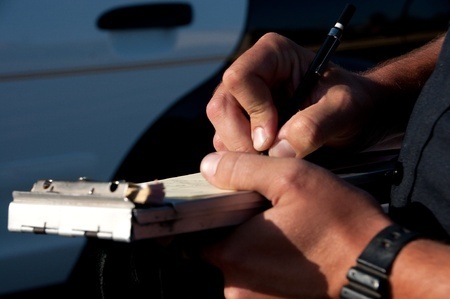 If you are guilty of committing a traffic violation, the court can impose a range of sentences. The most common is a fine, or ticket. In some cases, you can waive your right to a trial and simply pay the fine. If you want to dispute the violation, or if the violation is a non-waiverable offense, you will need to appear in court. Details the penalties for the offenses of operating a vehicle under the influence of alcohol or drugs, underage operating under the influence, and physical control. It also describes the length of administrative license suspensions imposed upon arrest and the process for appealing such suspensions. Created by Judge Jennifer P. Weiler, these charts are widely used in courts throughout Ohio. This chart lists the penalty provisions for common offenses such as driving under suspension, driving without a license, and wrongful entrustment. There is also a summary of when driving privileges may be granted and the requirements for the same. At Garfield Heights Municipal Court, you can pay traffic or parking tickets in-person, by mail, by phone, or online. To make a payment now, click the Pay a Ticket button in the column on the left – or, learn more about Paying a Ticket. For more serious traffic violations, penalties may include jail time or license suspensions. There are special rules and procedures about Operating a Vehicle while Impaired (OVI). In this section, you can also learn about driver’s license suspension and reinstatement.